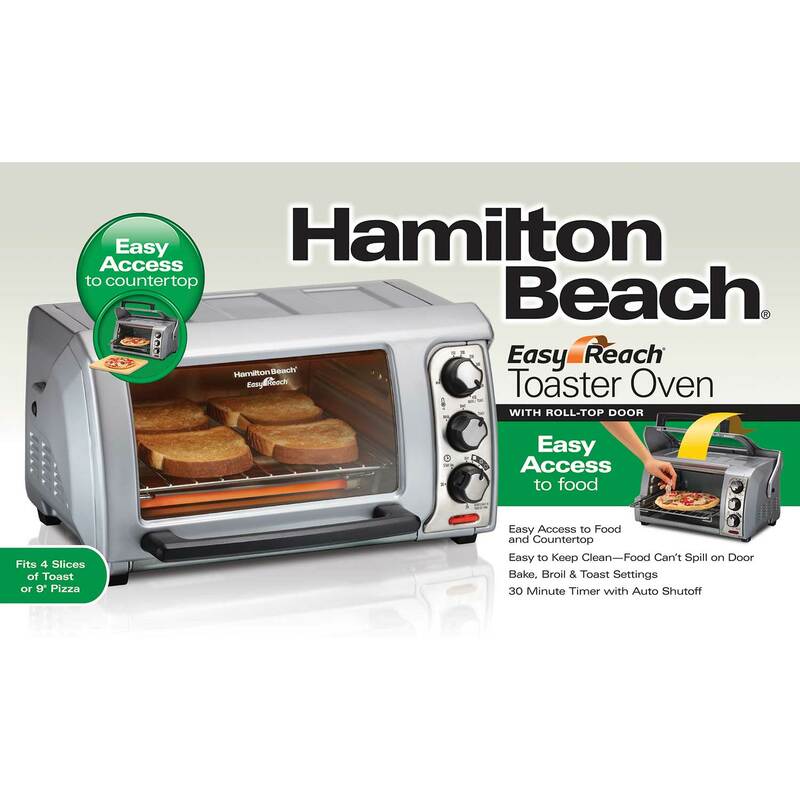 Sized to fit a 9 inch pizza, the Hamilton Beach Easy ReachToaster Oven features a large glass roll-top door for better access to food and your countertop. 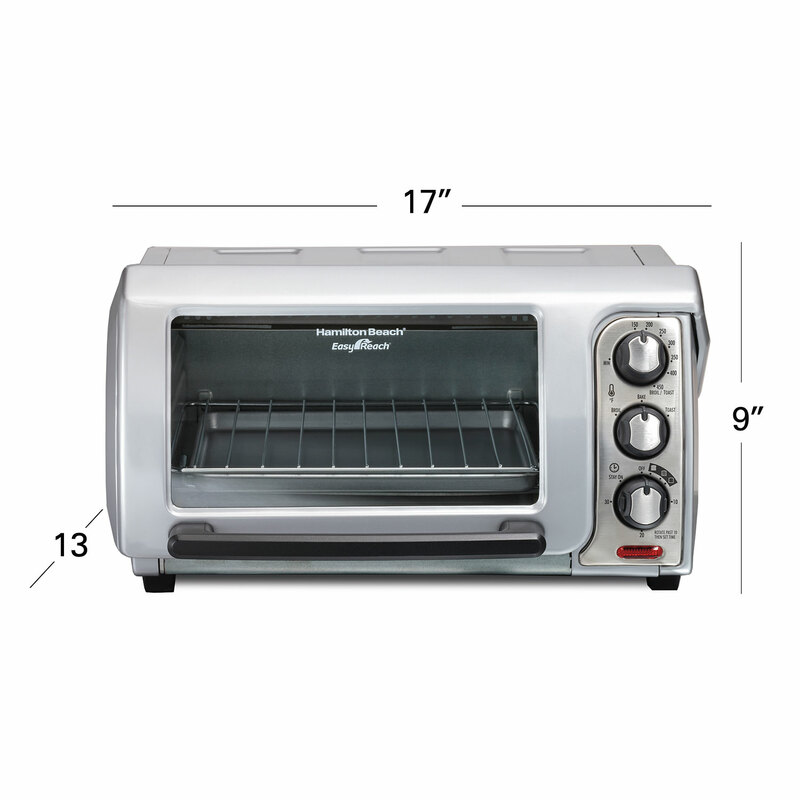 Bake, broil and toast settings along with a spacious interior make it simple to cook a variety of meals. 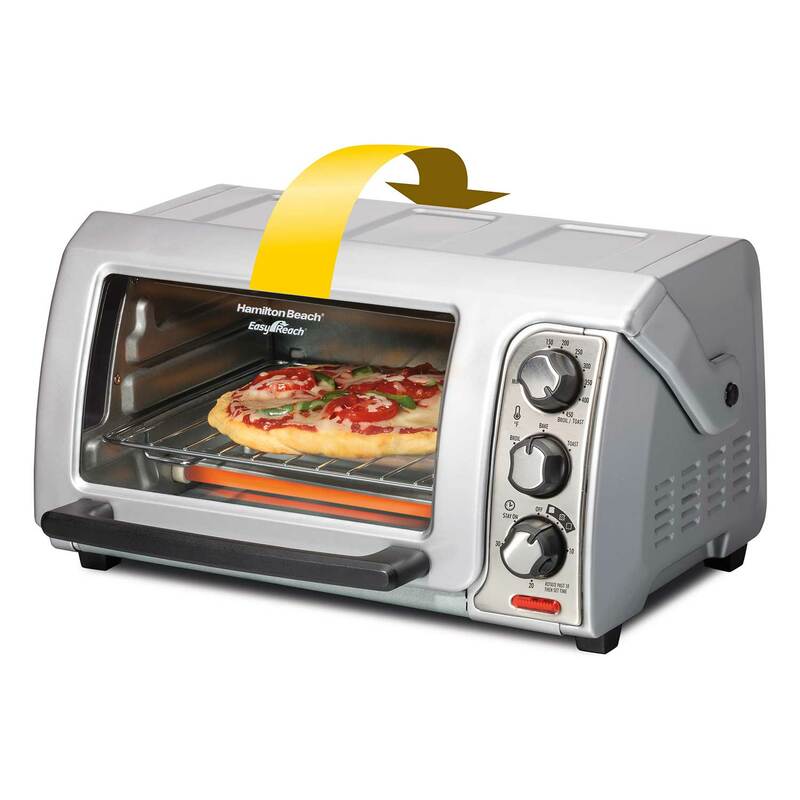 Sprinkle cheese on your pizza while it’s baking or easily reach your toast when it’s ready. 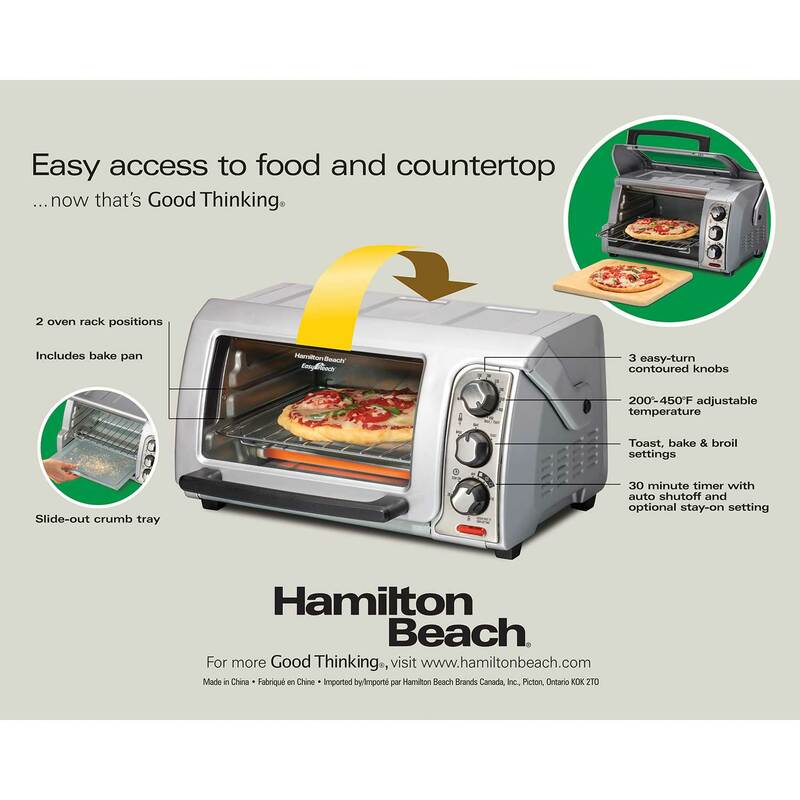 Instead of a door that flips forward, the large, curved glass door rolls up for easy access to your food before, during and after cooking. 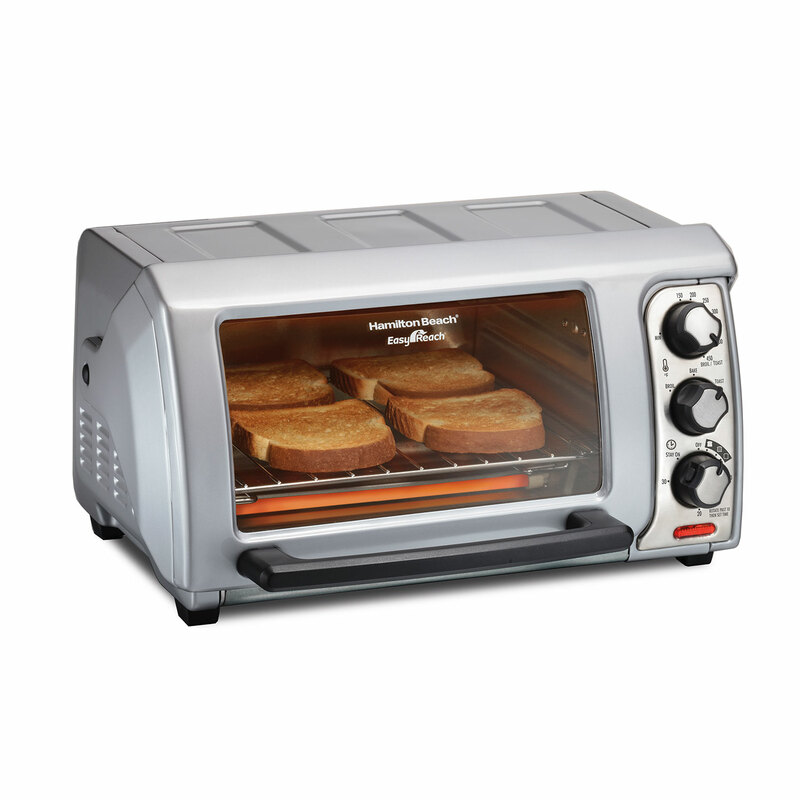 With an adjustable temperature between 200–450ºF, included bake pan, 2 rack positioning guides, 30 minute timer with auto shutoff and an optional stay-on setting, countertop cooking has never been so flexible. Patented contoured knob design makes grasping and turning the control dials easy for anyone. 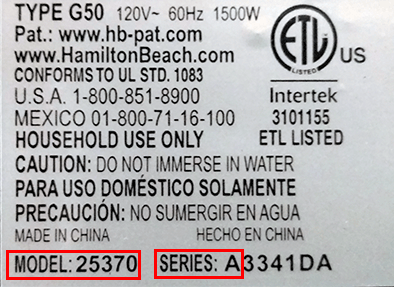 The timer knob also includes safety buttons to prevent unintended Stay On. 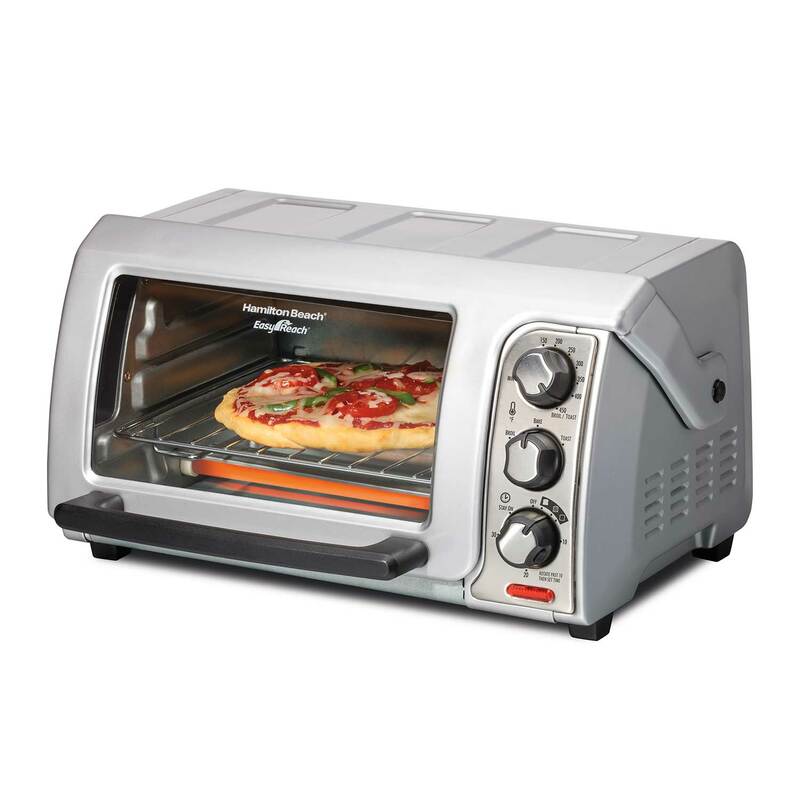 The roll-top design means food can’t spill on the door when you’re pulling it out of the toaster oven. 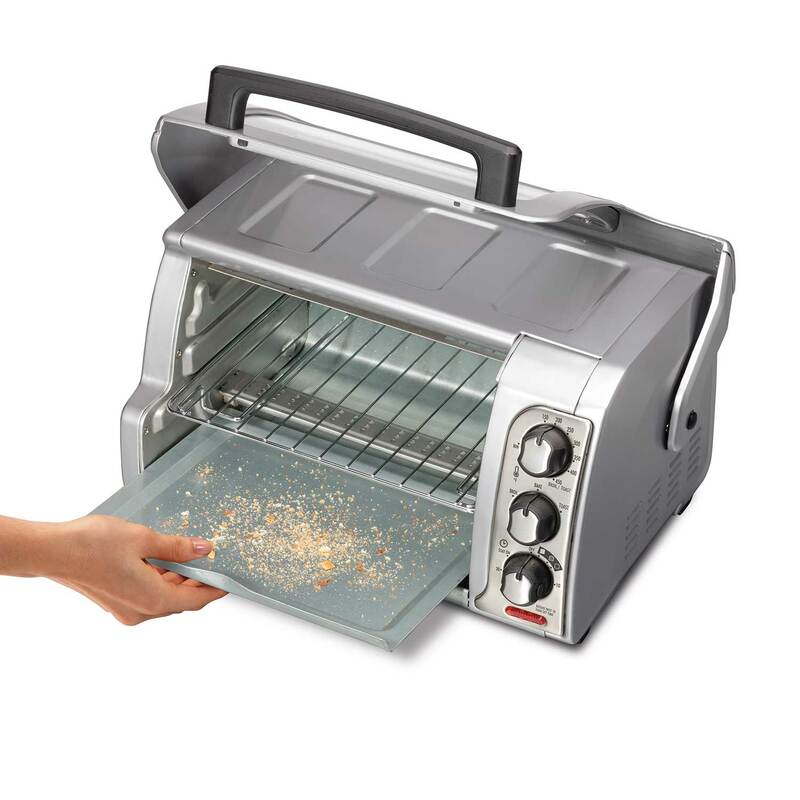 To further simplify cleanup, the crumb tray easily slides out from the front of the toaster oven, instead of the bottom.